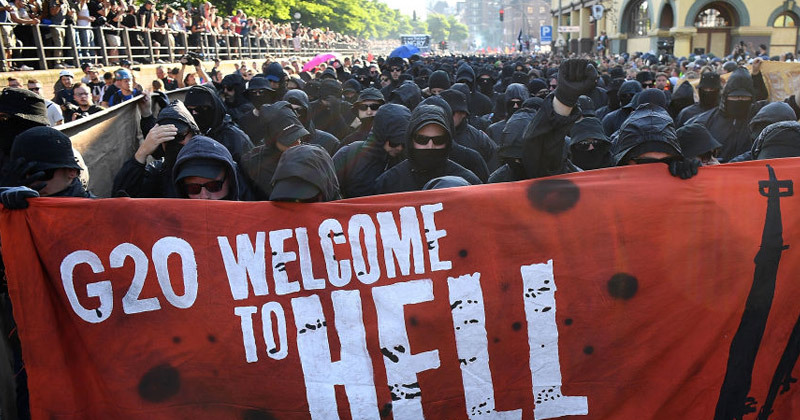 The clueless Antifa Leftist march behind the slogan of ‘anti-capitalism’, believing the G20 is a bastion of capitalism, when they are actually deeply committed to collectivism, which is the same ideology of the demonstrators. If this is not the definition of a “useful idiot“, I don’t know what is. Unfortunately, these programmed robots are being used as cannon fodder to destabilize society so martial law can be imposed to eliminate freedom. The mainstream media, the propaganda mouthpiece for the establishment, with deep financial and incestuous relationships with the most powerful in govt, have a duty to draw attention away from the source of the problem – govt and their fascist partners in the industrial complexes – primarily in health care, finance & insurance, and military. 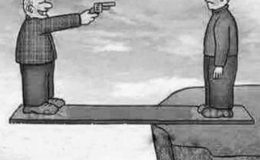 There are solutions, but they will never be discussed, much less implemented, until the career politician is eliminated by voting out EVERY incumbent, EVERY election.